With bold ambitions and a clear vision, Artelia is a history of passion, love and honesty in the creation of fine jewellery. A well-established jewellery manufacturer with roots in Istanbul, Turkey, Artelia has been manufacturing bespoke jewellery in Australia since the early 1990s. Roberto Ulas, COO has been creating jewellery pieces since he was eight years old. He first learnt the craft from his father in Turkey and started working full-time for the business at 15 alongside his brother Rudi. Roberto and Rudi have been growing the business and now proudly operate one of the largest jewellery design and manufacturers in Australia. With a wealth of experience and expertise, Roberto has witnessed the industry develop and change dramatically over the last twenty years. From humble beginnings with simple machinery in his father’s backyard to running his current 1,000 square metre atelier in Mulgrave, Roberto knows the industry inside and out. 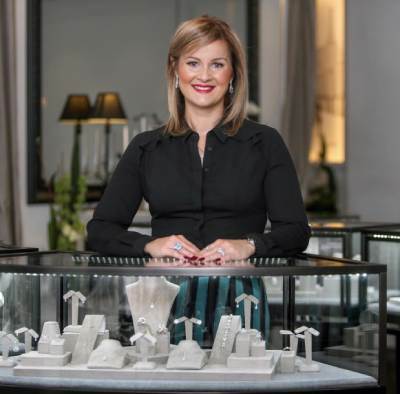 Having supplied Australia’s leading jewellery makers, from the high-end boutiques on Collins Street to the high street chain stores, the Ulas family always wanted to connect with their customer directly and establish their own route to market. “After all, we have always been in the business of love and relationships,” said Maria Ulas, now CEO, Artelia. Maria has worked alongside her husband and family within the jewellery manufacturing business for over 15 years. But as the now jewellery designer and CEO of Artelia Jewellery, it was always a vision and a series of educational stepping stones that would ultimately lead to the dream of opening a retail space and that would ultimately become Artelia. Alongside the team, Artelia offers the finest diamonds, pearls and gemstones, and is considered to be the wedding and engagement ring specialists, with all pieces being created within the atelier in Mulgrave Victoria. Eager to keep learning, Maria studies gemmology and diamond grading at the Gemmology Association of Australia and dedicates her time between running the boutique and raising her two young children. “I wear my heart on my sleeve and I want all our clients to feel our love and passion, you cant fake love.” These are the words Maria lives by and once you step into Artelia at Westfield Fountain Gate you really get that sense of the magic and love that has been created. Explore our bespoke design service to see how we can turn your dreams into a reality.